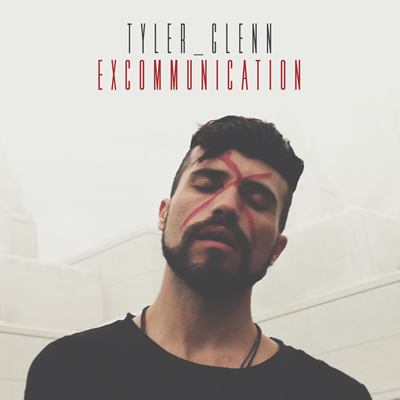 Today is the release of my dear friend Tyler Glenn’s new album: Excommunication. In my view, this album is a one-of-a-kind masterpiece. It is not only a simultaneously raw and joyful listening experience; it is also a singular creative achievement as it explores 21st century religious faith transitions more deeply, more intimately, more effectively, and more powerfully than I believe anyone has ever been willing or able to do. If I could emphasize one thing – it would be that this is an ALBUM, not a series of singles. Please give the album a full listen start to finish if you can. To me, it represents a full spectrum of Tyler’s journey – both in dealing with his faith transition, and in coming to accept and even celebrate his sexuality. 4) John, Give ‘Em Hell – A beautiful personal tribute by a dear friend. So honored to call Tyler a friend. But he is also a brilliant artist. Yes this is an album about anger and sadness. But it’s also an album about personal empowerment, and healing, and growth, and hope. In short, it is an album about the full range of feelings and experiences that accompany an empowering faith transition. I’m teary as I write this. For all of you who have or who are experiencing a faith transition – I hope you can connect with the album as I have/am. There is something so powerful that music can do that nothing else quite can. And Tyler has done this brilliantly (in my view). Thanks for the gift of this album, Tyler Glenn. You have become the voice of a generation – and I couldn’t be prouder to have you – YOU – be that voice. P.S. You can purchase the full album below. Please support Tyler if you are willing/able.